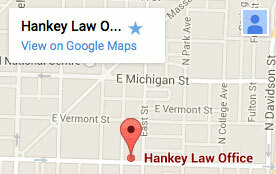 Hankey Law Office > FAQs > Who is eligible for Supplemental Security Income? A: Supplemental Security Income (SSI) is a federal benefits program that is paid for through federal taxes, rather than Social Security taxes. These benefits are typically provided to those who are unable to earn sufficient income to support independent living due to being aged, blind, or disabled. For a person to qualify, they must meet the Social Security Administration’s disability requirements and/or definitions. An Indiana Supplemental Security Income attorney of the Hankey Law Office, can help you to evaluate your situation and determine whether you are a likely candidate to receive SSI benefits. Call (800) 520-3633 to speak with an informed legal professional today.